Sophia is a senior at Lewis-Palmer High School, and this will be her second year on staff as a Ranger Review reporter. Sophia has been a competitive swimmer since she was six, and plans to compete in college. She enjoys competing in the sport, and teaches swim lessons to kids of all ages. When she is not in the pool, she is with her cello. 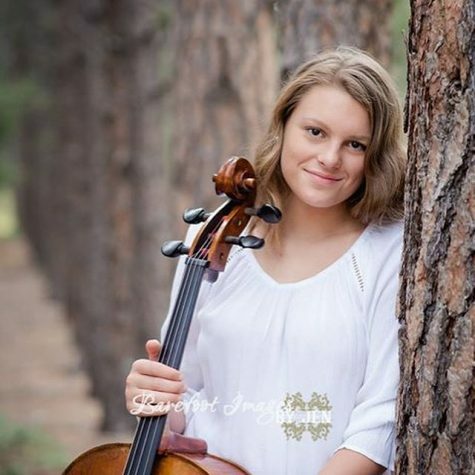 She plans to carry on her love of the cello and music my minoring in music performance in college. Although her final college decision has not been made yet, she hopes to go down a career path that makes a change in the world. She loves photography, hiking, spending time with her family, and traveling the world. Sophia is looking forward to her final year in high school, and is excited to be part of the Ranger Review staff.